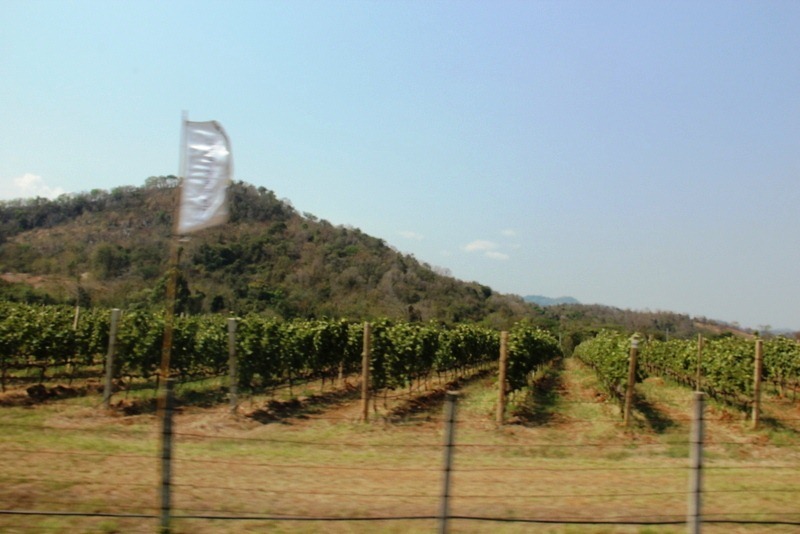 Ever wondered how you could get out of Thailand while being in Thailand? 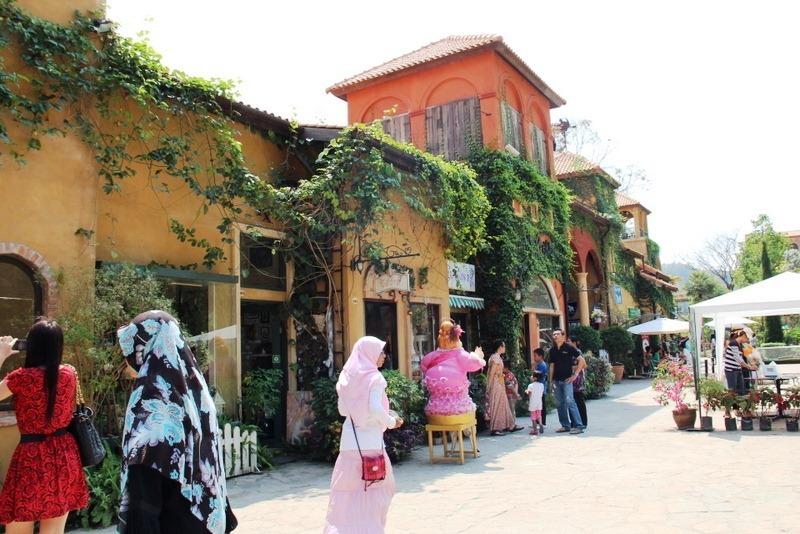 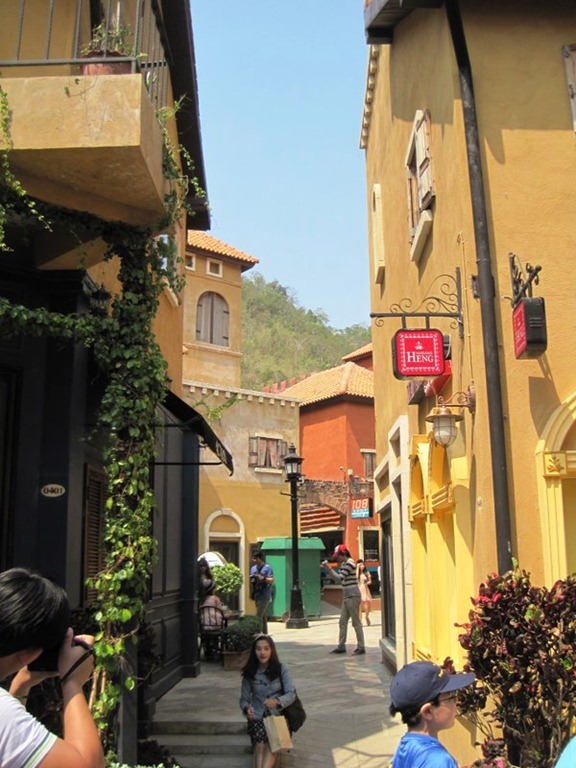 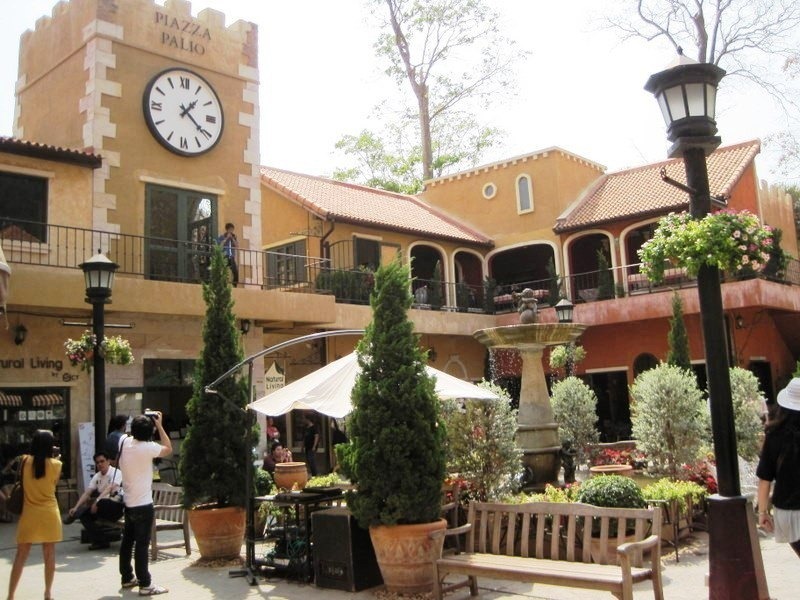 Look no further than the Tuscan-village-themed attraction, Palio Khao Yai, located near Khao Yai National Park, just 2 hours northeast of Bangkok. 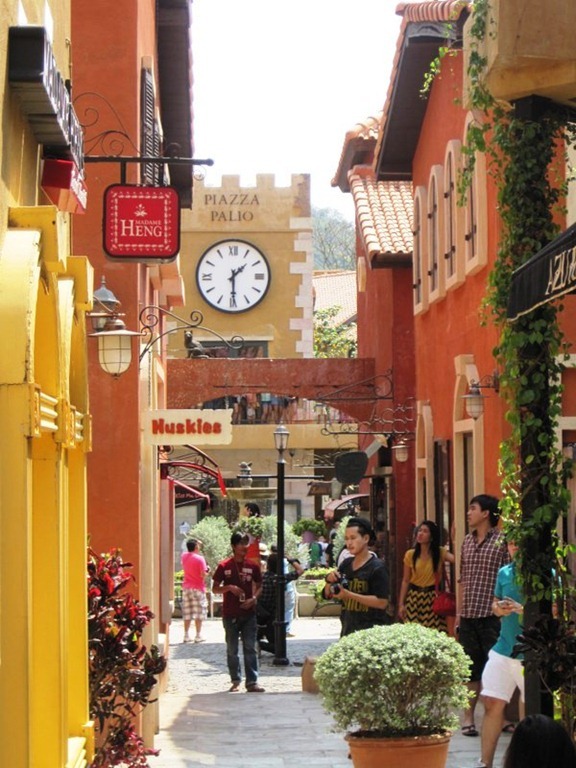 Palio is an “Italian village” that features faux Italian architecture set in a tranquil spot amid copious greenery. 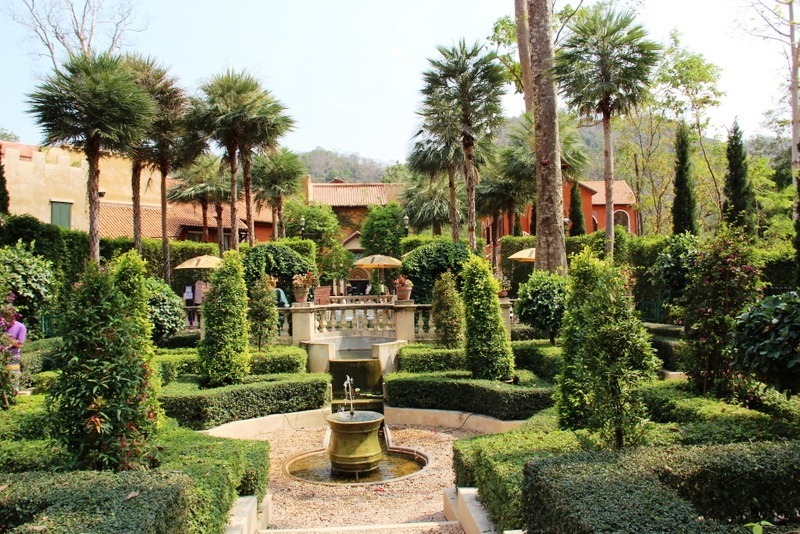 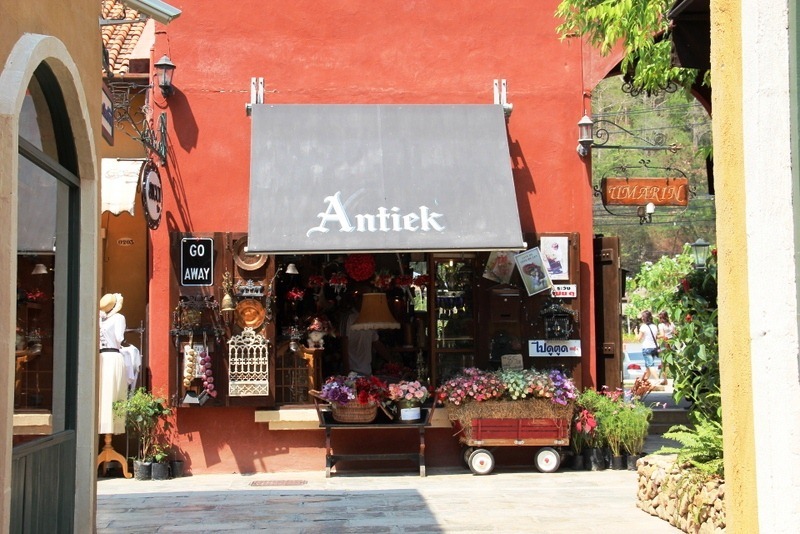 It is nestled among vineyards, dairy farms, upscale housing developments, organic Thai villages, hotel resorts, and even some Buddhist temples. 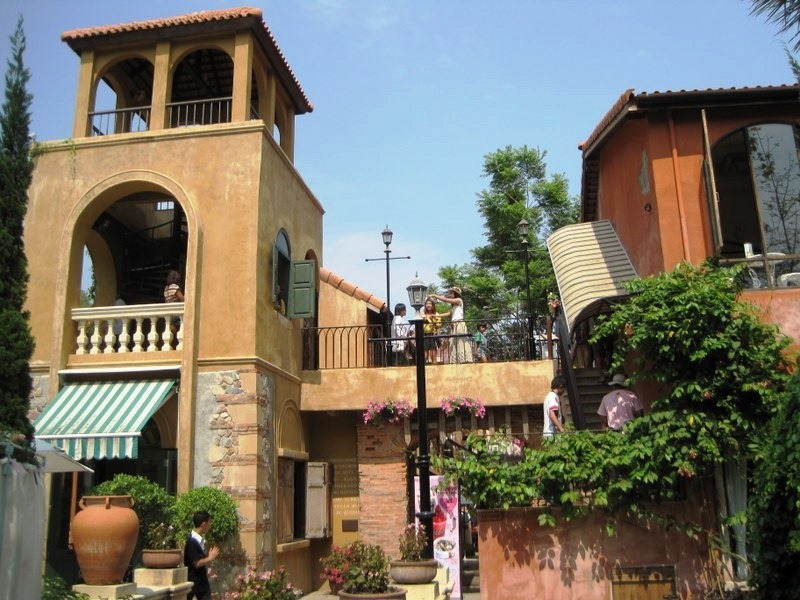 The “Italian village” features more than 100 stores and restaurants on pedestrian streets and alleyways that radiate like wheel spokes from the center, Piazza Palio. 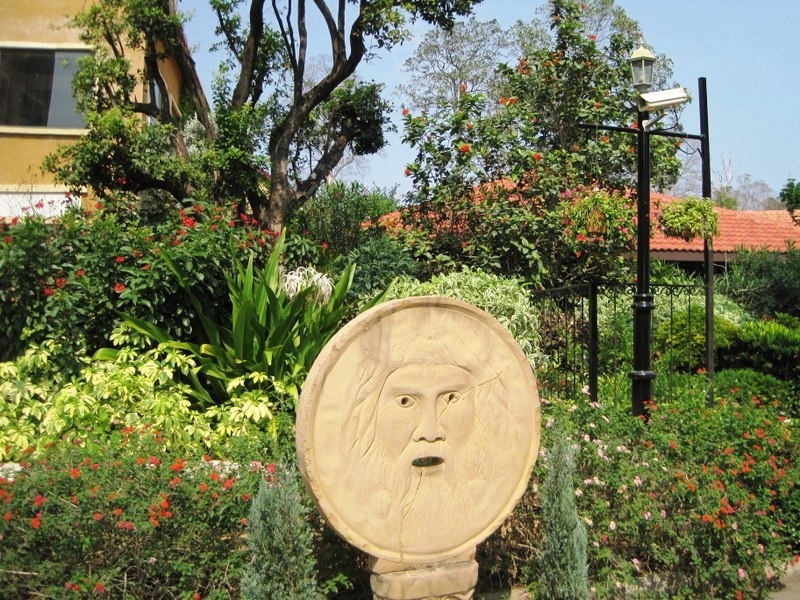 The developers went out of their way to recreate the feeling of wandering through a small town in Tuscany, complete with a clock tower, baroque-style buildings covered in ivy, a manicured garden, and a replica of the famous Bocca della Verità (“Mouth of Truth”) carving in Rome.